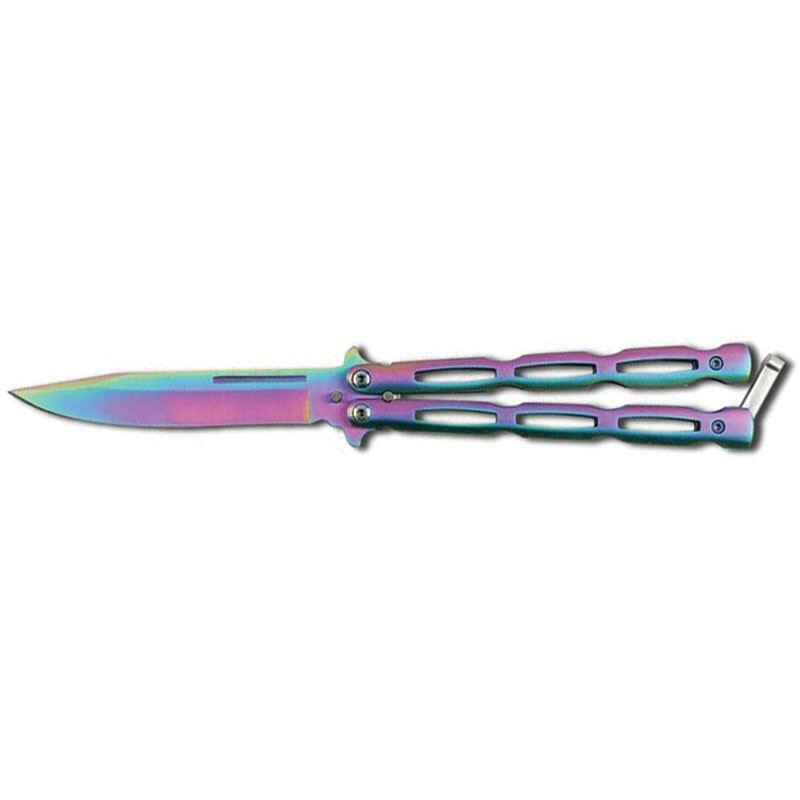 Sporting a stainless steel 4 inch blade that is razor sharp with a silver finish, this premium balisong butterfly knife is ready for action! Chain link shaped cutouts on the handle help to reduce the weight of the knife which improves flipping ability. The stainless steel handle also features a silver finish and is decorated with attractive butterfly cutouts making this knife very light in weight but at the same time extremely durable. A metal safety latch is included to lock the blade into place when it is not in use as well as when it is deployed.